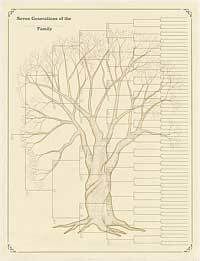 This decorative chart is made of good-quality, parchment-like paper. With space for adding seven family generations there is also a background image of a tree. A great gift idea and a lovely addition to any family historian's wall!